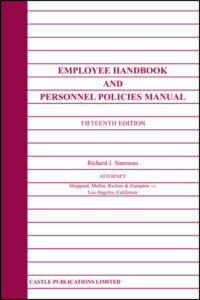 Employer’s Guide To Workplace Security And Violence Prevention (2019) – Castle Publications, Ltd.
Every employer in the nation should be sensitive to the issues raised by workplace violence. 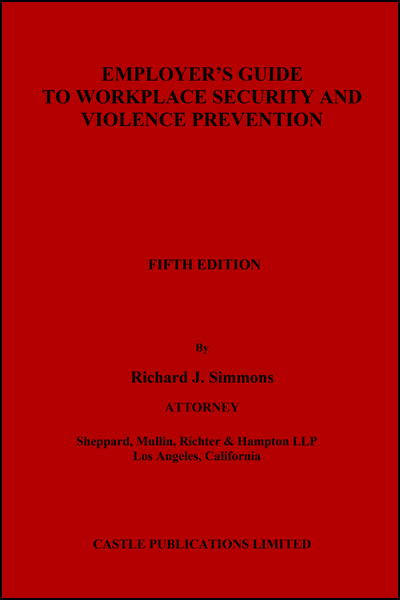 In California, employers are required to address the subject of workplace violence in their mandatory Injury and Illness Prevention Program (IIPP). They should also have policies and procedures to protect their employees. The Workplace Violence Safety Act establishes additional rules. 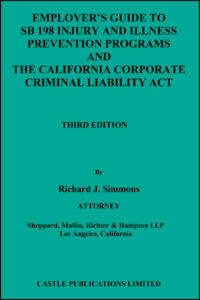 The Act now enables employers to seek temporary restraining orders and injunctions to protect employees who are victims of violence or threats of violence. 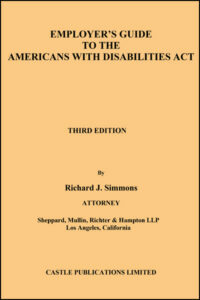 At the same time, employers must balance concerns about negligent hiring, supervision, and retention against competing legal responsibilities under the Ban the Box Rules, the Americans With Disabilities Act, as well as the privacy and confidentiality laws. 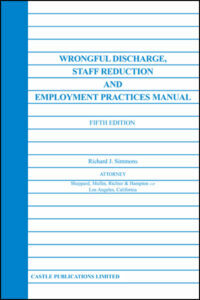 In this publication, Attorney Richard J. Simmons of Sheppard, Mullin, Richter & Hampton LLP provides a practical and useful review of the laws in the field, the obligations of employers, and the concerns that every workplace now faces.